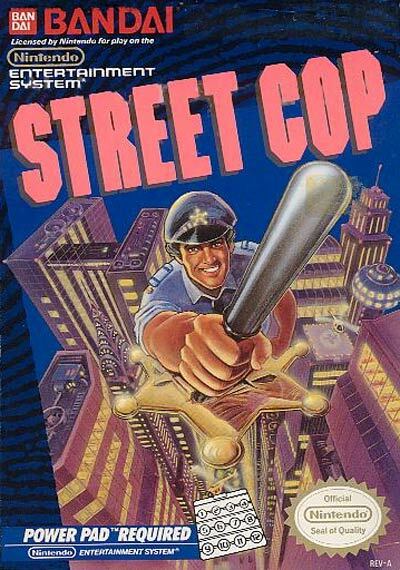 Street Cop is a Nintendo game, using the Power Pad, in which the character uses his billy club to apprehend criminals. The player has to step on the buttons corresponding to each of the cop's actions, such as moving, jumping and clubbing. Released in Japan as Family Trainer - Manhattan Police.